I hope everyone had a wonderful 4th of July! I spent the long weekend in Rhode Island meeting the majority of the GS’s family, and therefore withholding many of my natural instincts. Just kidding, I was myself minus some of the compulsive sarcasm. It was absolutely beautiful there. 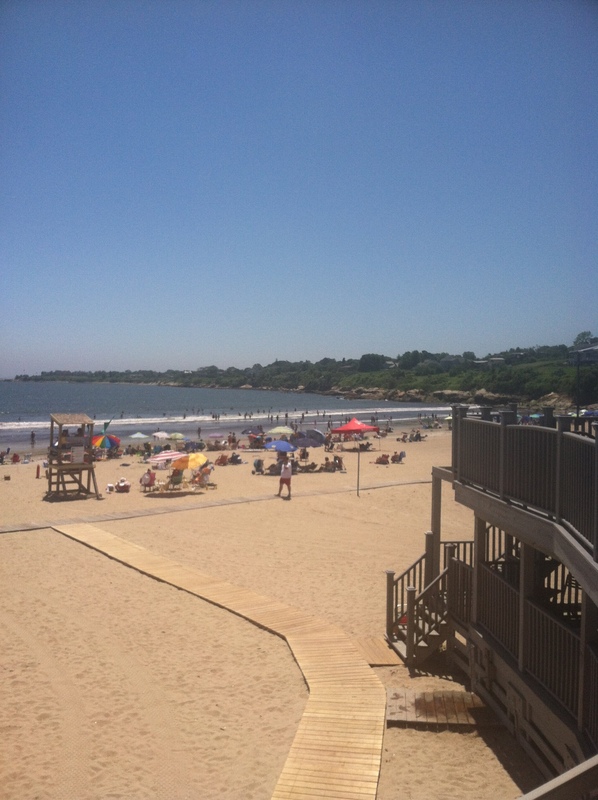 There was a lot of sunning and spike ball-ing on the beach, watching fireworks, and EATING. Of course. It’s very quaint and nice and I want to move there. If you hear of anyone looking for an audiologist that maybe wants to throw in a cabana at the Bonnet Shores Beach Club as a hiring bonus, give them my number. 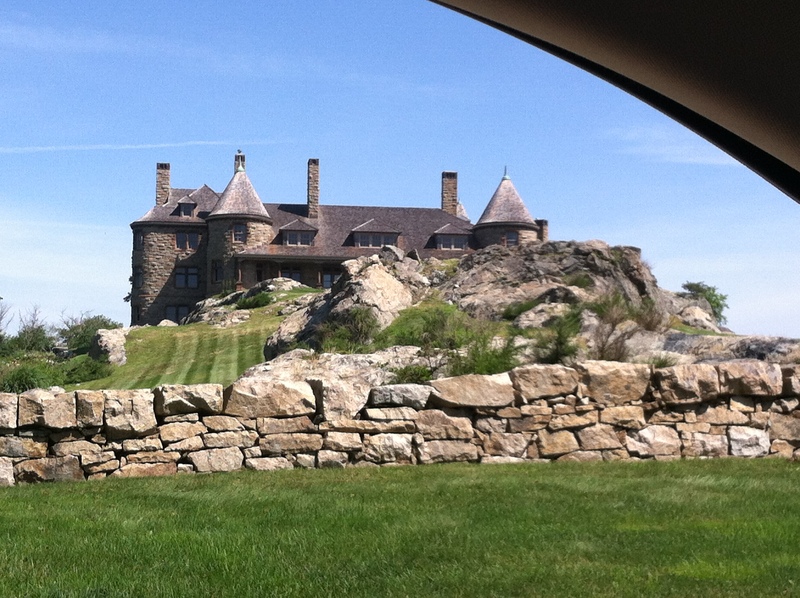 On Saturday we went to Newport to see the mansions and walk around. I was fascinated to see that, with all the cute little lobster joints and fancy ocean-side restaurants around, somehow PANERA was still packed at lunch time. Come on, people. Step outside the box. 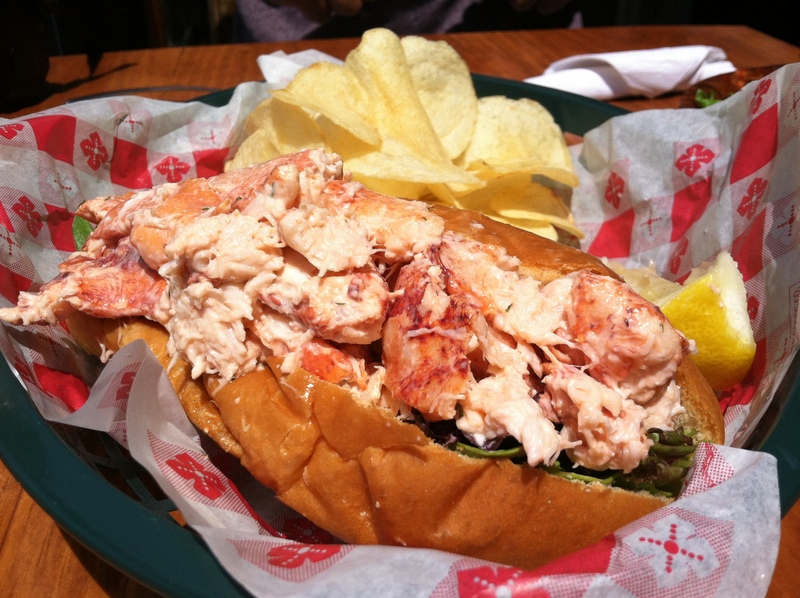 We went and sat right on the water and split a lobster roll (my first ever). We split lunch because we knew the GS’s birthday dinner at Aunt Dee Dee’s house was going to be excessive. And we were correct. This flatbread/pizza is an imitation of just one of the appetizers we had. It sat alongside roasted shrimp and clams casino and a bean dip, and was followed by swordfish and steak and potatoes. Yuuuum. 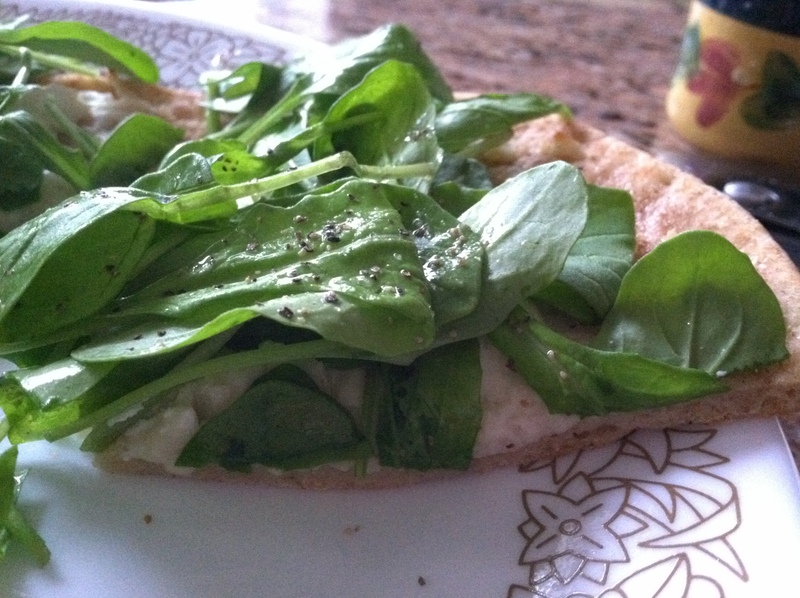 I used pre-made Greek flatbreads. The ones we had at Dee Dee’s were thinner, but you could really use any pita, tortilla, naan, pizza dough, etc. that you like. Or make your own! 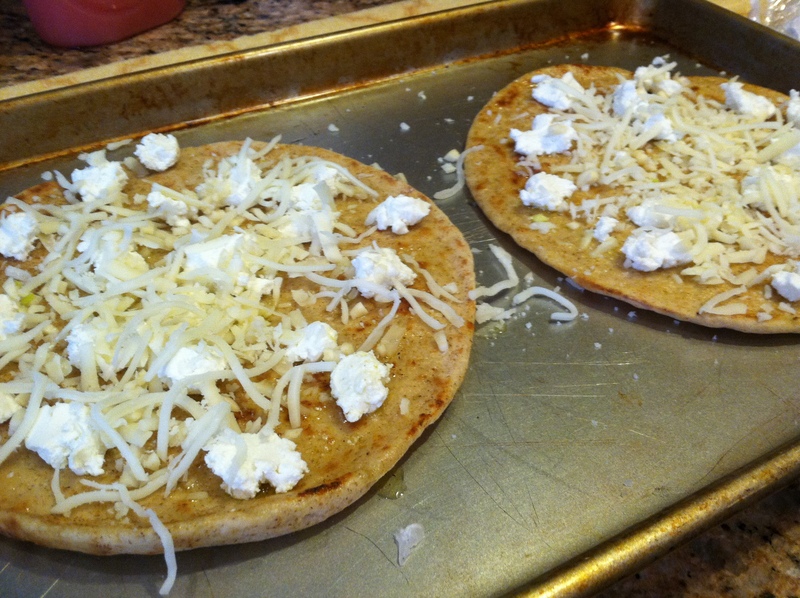 I brushed a thin coat of olive oil on each one and spread out the garlic, followed by the goat cheese and a little sprinkle of fontanella and mozzarella. If you can’t find fontanella, you can substitute fontina or gruyere or whatever sharp cheese you like. 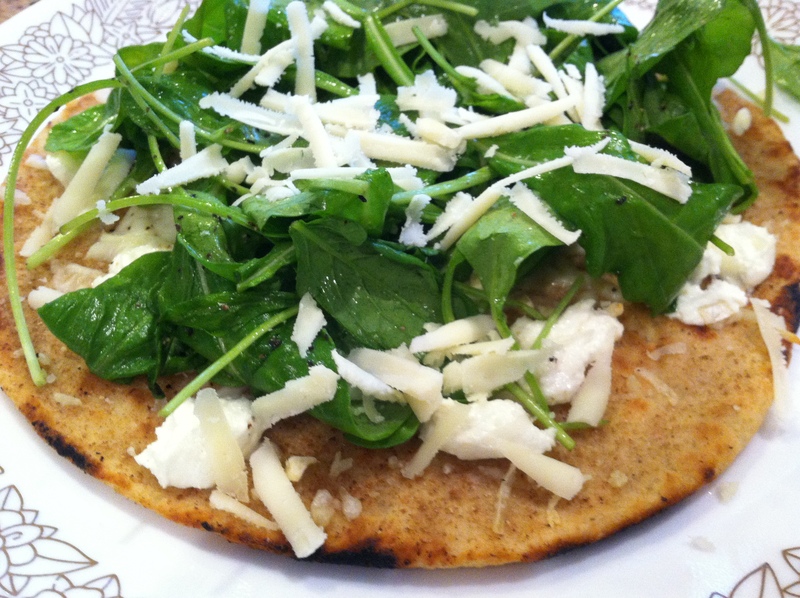 Toss the arugula with lemon juice, salt, and pepper. Do this RIGHT before you’re about to put it on top of the pizzas- otherwise it will wilt and get all soggy. Grate some extra fontanella on top and serve. I’ve now eaten this three nights in a row and now I’m out of goat cheese so I suggest you do me a solid and continue my streak. While also looking for that ear doctor job in RI for me. Thanks.